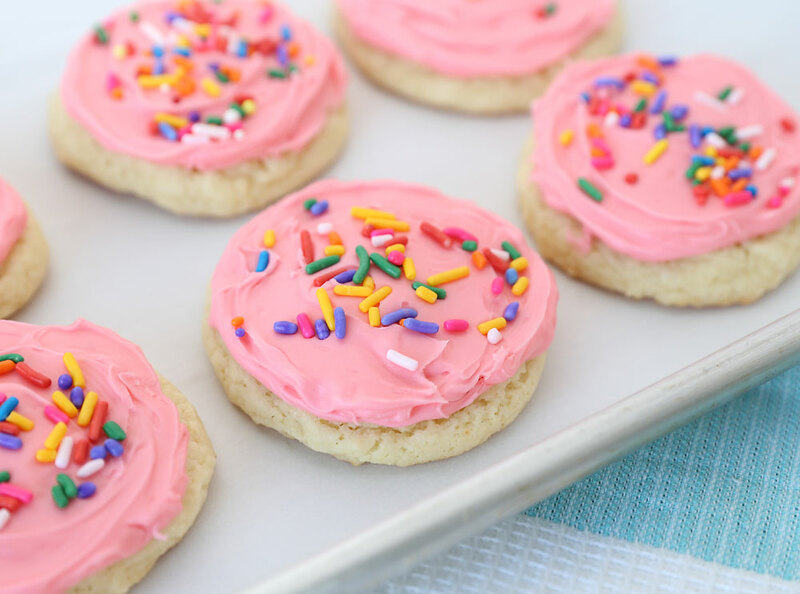 In today’s post: This cheater recipe uses a cake mix for a batch of sugar cookies in minutes! 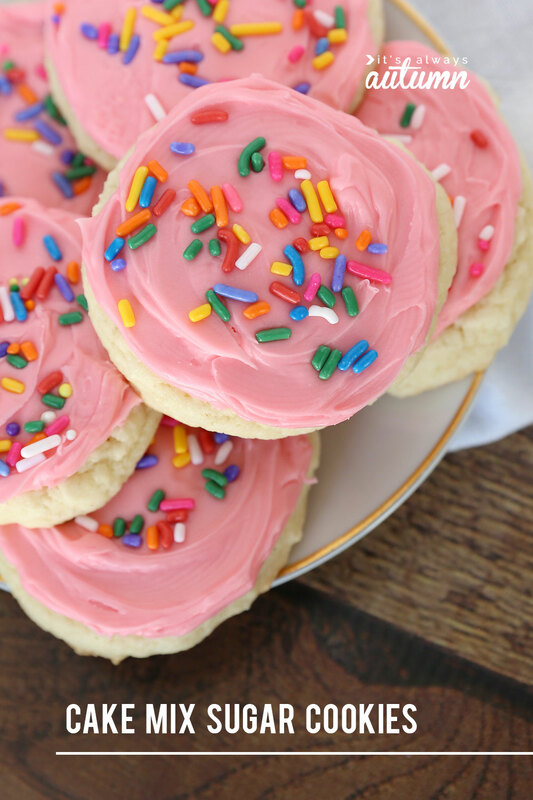 Frosted sugar cookies are a favorite at our house, with one exception: me. 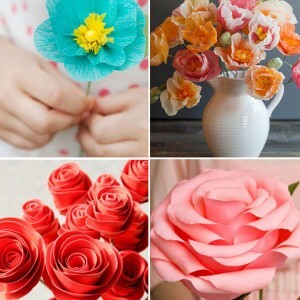 They’re good, for sure, but they take so long to make! Mixing and rolling and cutting and baking and rolling again and baking some more…and that’s all before you start making the frosting. 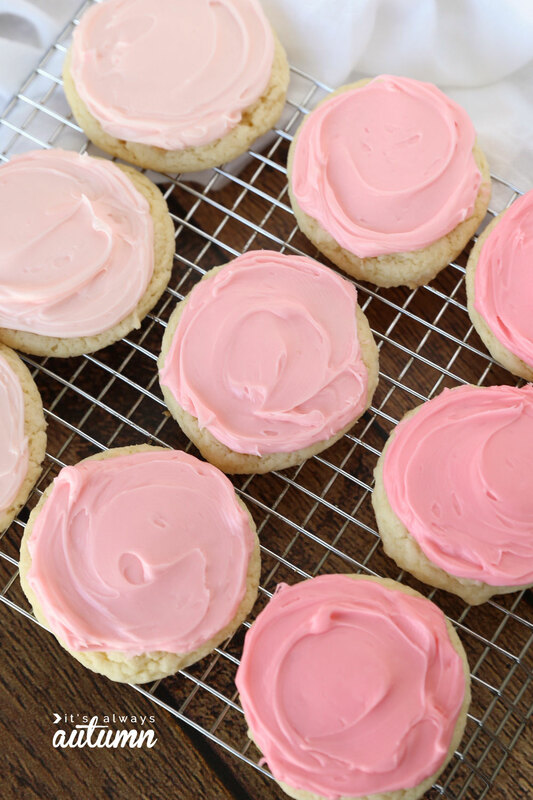 Really good frosted sugar cookies are a labor of love, and sometimes delighting my children with a batch is worth that labor…but sometimes it’s not. But there’s no need to worry! 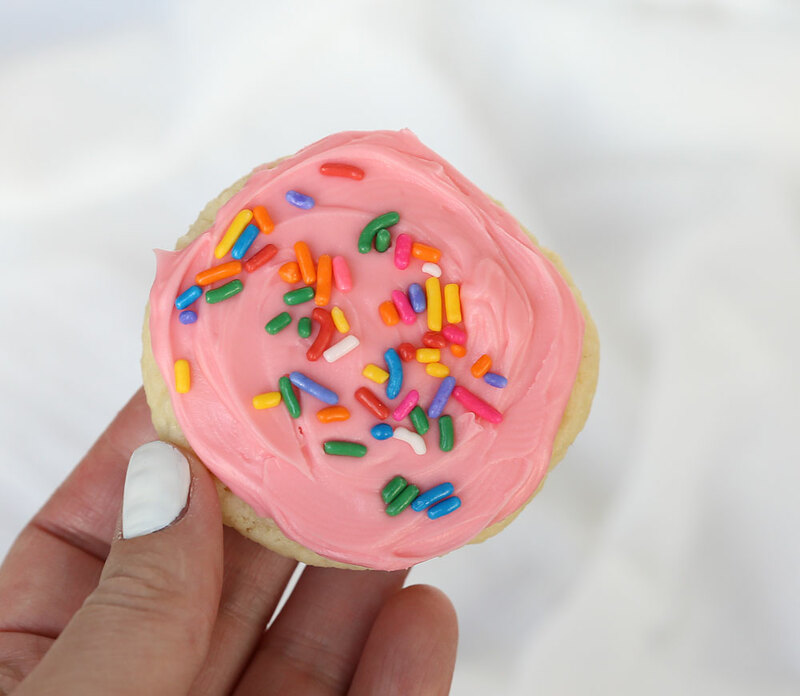 Thanks to this cheater recipe, you can give your kids their sugar cookie fix AND save yourself a boatload of time so you can fold the 14 loads of laundry that’s waiting in your bedroom. Or maybe that’s just me. 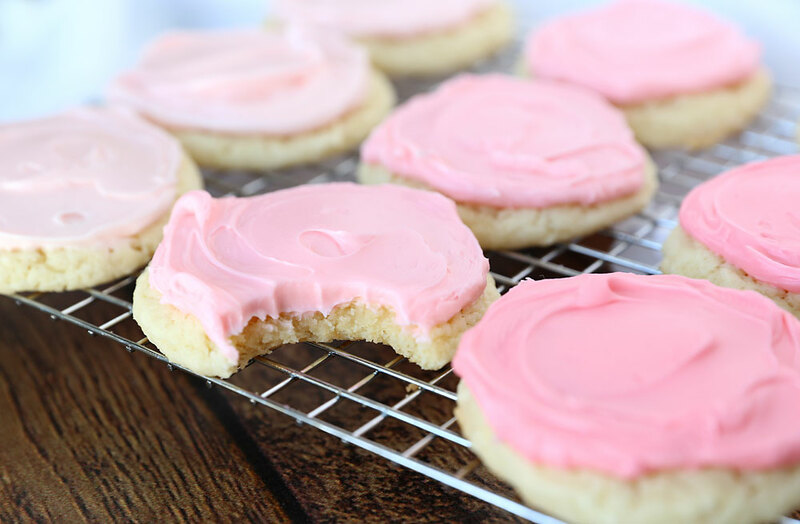 These sugar cookies are made with a cake mix and a few other ingredients, so you can mix them up in one bowl with a wooden spoon (no need to haul out the mixer and then have to wash it!). And there’s no need to chill the dough or roll it out: a cookie dough scoop will do the job in a fraction of the time. So do they taste exactly like my favorite frosted sugar cookie recipe? No, they don’t. 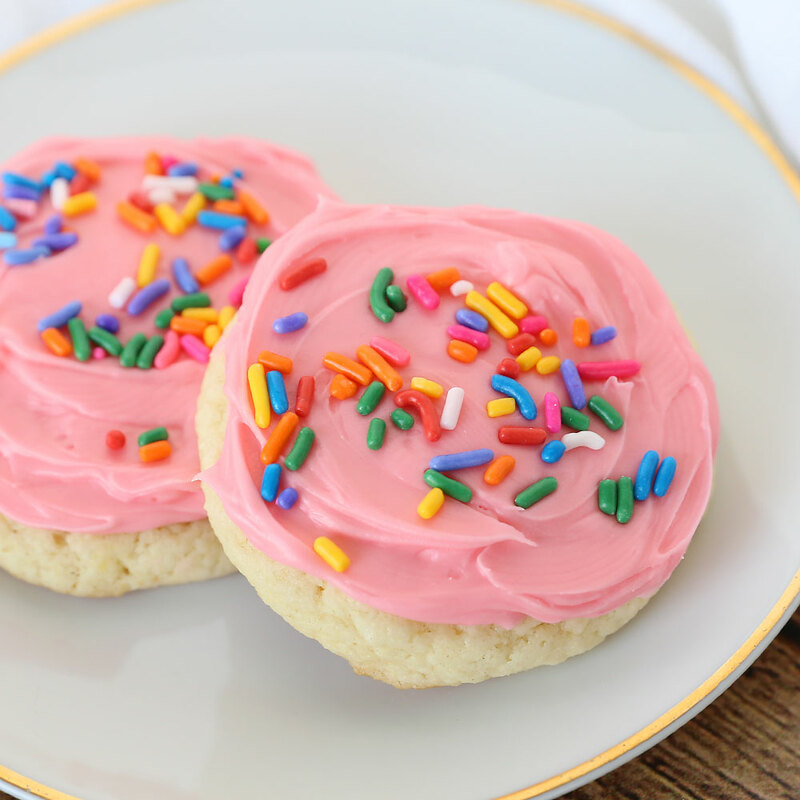 They’re made with a cake mix so they taste more like cake batter than a traditional sugar cookie. But they still taste good, and since the frosting is always the star of the show when it comes to sugar cookies, most people won’t even notice the difference! My 17 year old son tells me these taste like a Lofthouse sugar cookie but better. Considering that the time investment for these cookies is about a quarter of that for traditional sugar cookies, I’m calling that a win. And if you’re of the almond sugar cookie persuasion, adding a bit of almond extract to the dough makes these really quite delicious. 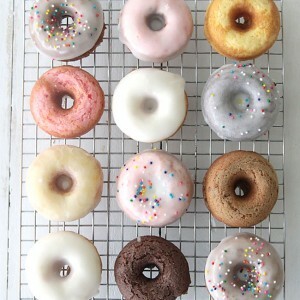 A word about frosting here. I swear by my mom’s homemade cream cheese frosting recipe. It’s THE BEST. Perfect on sugar cookies, cinnamon rolls, graham crackers, or just straight off a spoon. However, since this cake mix sugar cookie recipe is all about getting it done fast, I actually used frosting out of a can. 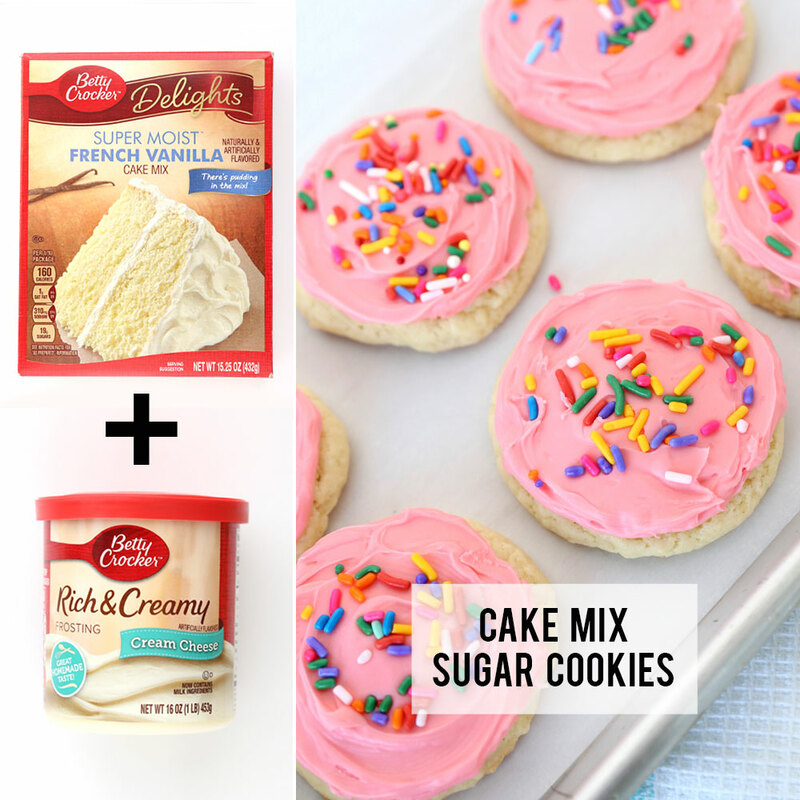 I know, canned frosting is kinda gross…except for the Betty Crocker Cream Cheese frosting. Turns out it’s good! It tastes enough like my homemade frosting to fool all children (and most husbands). 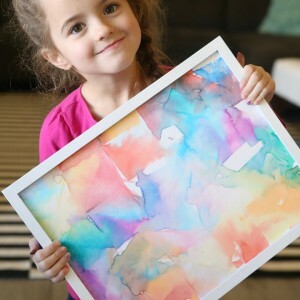 So grab that canned frosting, use food coloring to tint it any color you’d like, and you’ll have a couple dozen sugar cookies ready in about 30 minutes! 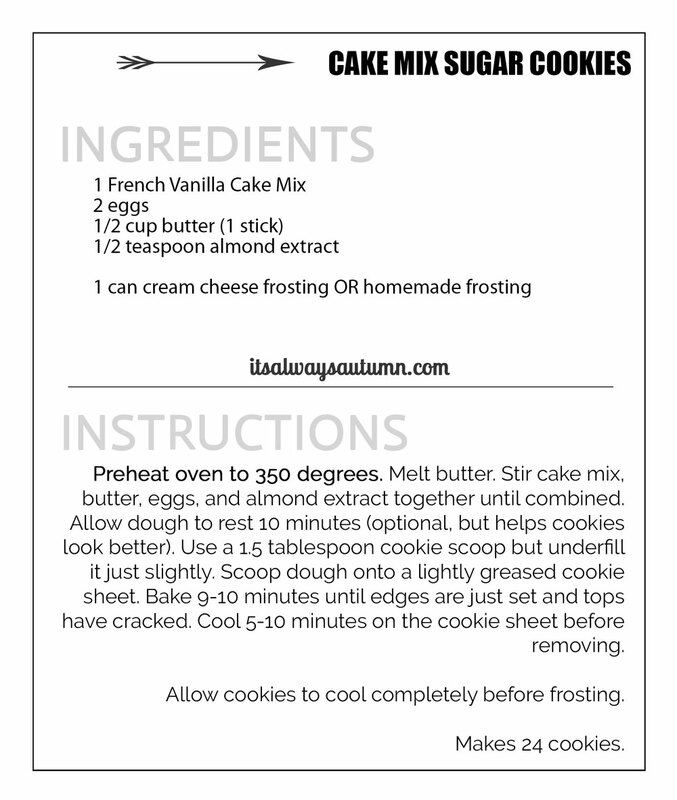 Click here to download the printable recipe card shown below. Do not overbake these cookies! You want to take them out when they are puffed and the tops are cracked (first photo below). 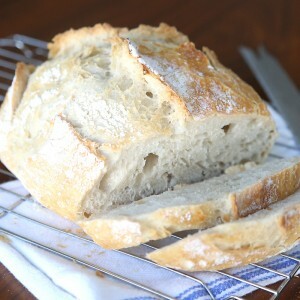 They aren’t going to look golden brown – they will be quite pale – and only the edges will feel set to the touch. 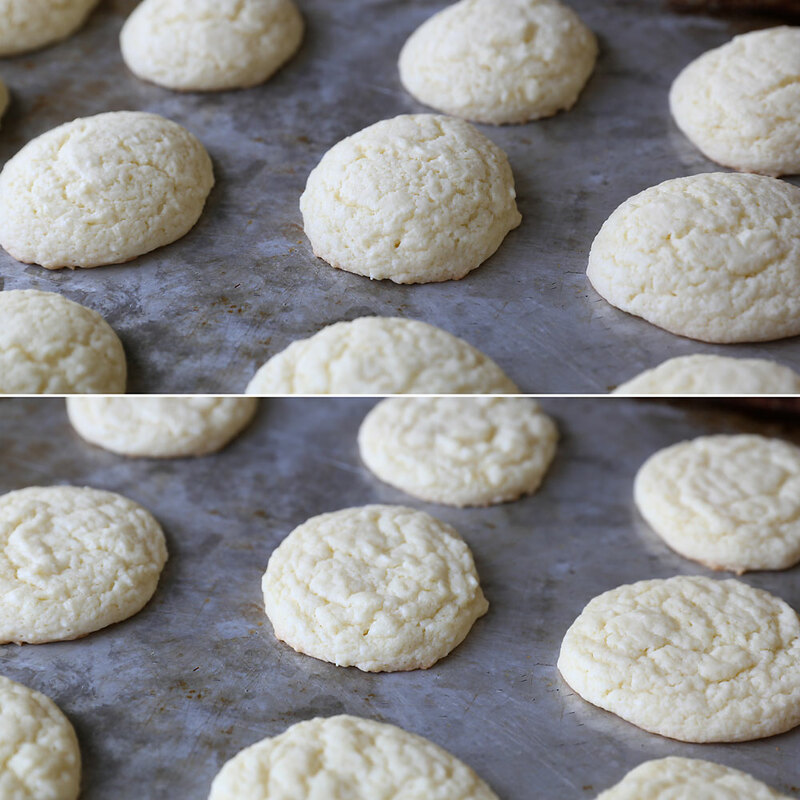 After they’ve cooled a few minutes they’ll flatten a bit (second photo below). This will give you a really soft, tender cookie (yum!). If you bake them too long, they will stay tall and puffy but will taste dry (not yummy). If you pull them out and they flatten completely, that means they needed another minute or so. A note about flat cookies: If your cookies spread a ton while baking and end up very flat, you can try upping your oven temp to 365 or 375, or adding a tablespoon or two of flour to the dough. And finally, I prefer Betty Crocker or Duncan Hines brand cake mixes for these cookies. Enjoy! Hi, l was wondering how to make the armhole bigger on the classic t-shirt pattern.